You shouldn’t take lightly any surgery on your spine — even minimally invasive surgery. But if you need back surgery, if surgery is the only solution to resolving your back pain once and for all, you should prepare for it cautiously, thoroughly and wisely. Consult your surgeon before your back surgery, but review the tips presented below to help you prepare… and fully recover. The Southeastern Spine Institute (SSI) has its own ambulatory surgery center on its campus in Mount Pleasant, SC. That means you don’t have to go anywhere else for your procedure, regardless what you need. It also means that you may have outpatient surgery for most procedures — go in during the day and go home that night. That doesn’t mean the surgeons rush through your procedure and push you out the door. Quite the contrary. 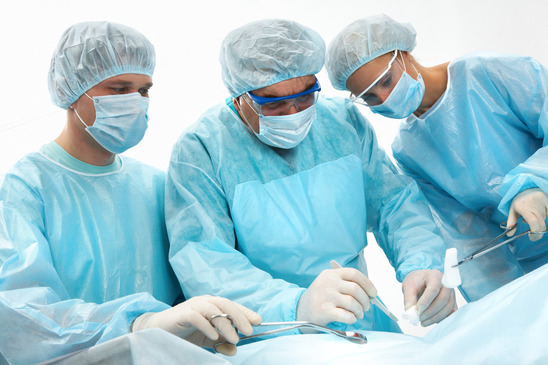 The SSI ambulatory surgery center is fully equipped with everything your skilled surgeon needs to perform your operation safely, effectively and completely. With detailed instructions and pain medication, you can recover more quickly in the comfort of your own home. If your surgeon requires tests before your procedure, schedule the tests at least three days before your surgery. Make sure your surgeon knows all the medications and supplements (especially blood-thinners) that you take on a daily basis. He may ask you to skip them temporarily before your back surgery. If you regularly drink alcohol, including beer or wine, stop at least two days before your surgery. Arrange to have a responsible friend or relative accompany you to your surgery to drive you home afterward. You can’t drive yourself, and you won’t be allowed to call a taxi. You need to remove any body piercings before your procedure. If you can’t do it yourself, have it done professionally and safely. You do not have to change your diet or exercise regimen, but remember that being healthy before your procedure will aid your recovery after the operation. Do not eat or drink anything — including water, gelatin, gum or mints — on the day of your back surgery, starting at midnight the night before your operation. Arrive at SSI at least an hour before your scheduled appointment. Leave your valuables at home, including any jewelry. Wear loose, comfortable clothing with flat-heeled, slip-on shoes. Do not wear makeup or contact lenses. Tell your surgeon if you don’t feel well on the day of your surgery. Back surgery is serious business that only board certified, experienced surgeons should undertake. Don’t trust your spine to just anyone with an “M.D.” after his name. The surgeons at the Southeastern Spine Institute are all board certified or board eligible in Orthopedic Surgery. Each surgeon has undergone specialized training and has extensive experience in evaluating spine issues and performing spinal surgeries.